Prize-giving ceremony for the St Mark’s Cricket Competition. Photo: Johnson Richardson. Prime Minister Dr the Right Honourable Keith Mitchell has pledged his support for cricket competitions in St Andrew and St David. 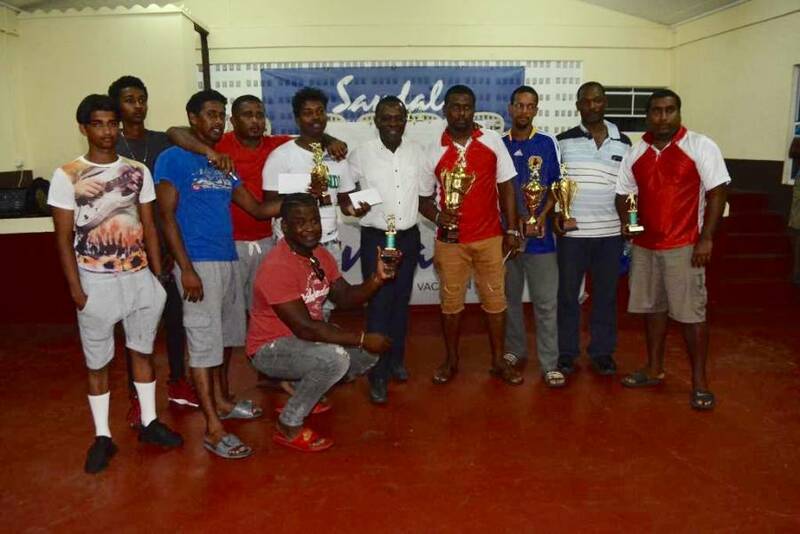 At a meeting with members of the newly elected St Andrew’s Cricket League executive last Friday, the Prime Minister welcomed news that the 2019 league features 32 teams competing in 3 divisions. Dr Mitchell encouraged the new executive to do all within their power to promote the growth and development of cricket in the parish that has created several excellent cricketers. The executive members shared some of their plans with the Prime Minister including the intention to have cricket year-round in St Andrew with the staging of a women’s competition, a T-20 competition and two-day matches. The Prime Minister, an avid cricket fan, has also thrown support behind the St Mark’s Cricket Competition. At a recent prizegiving ceremony for the 2018 competition which was also supported by Sandals Grenada, Dr Mitchell handed over trophies and prize money to the winning teams. In addition to congratulating the winners, he encouraged the organising committee to continue providing a platform for youngsters to improve their talent while at the same time promoting fitness at the community level. The Prime Minister also commended members of the business community who continue to support sporting events such as the cricket competitions.